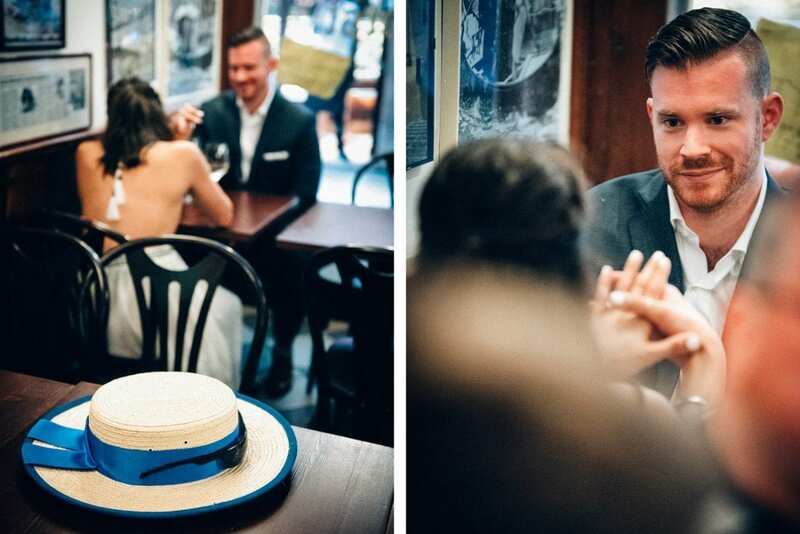 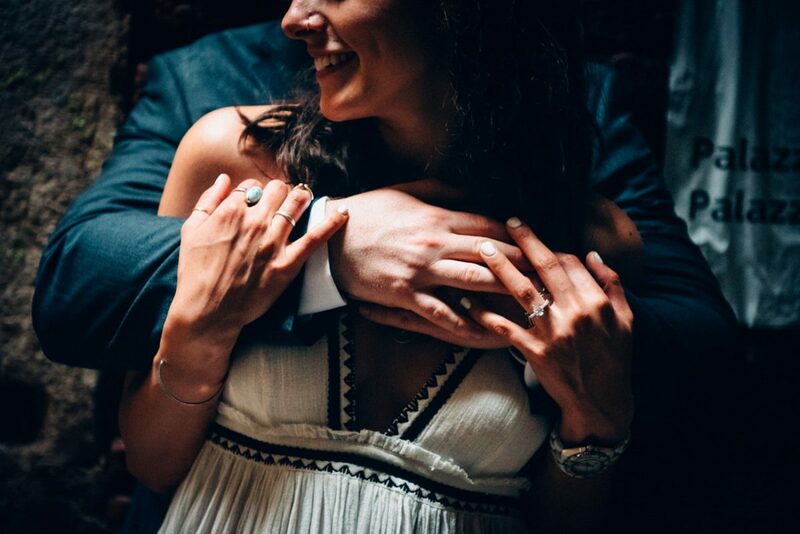 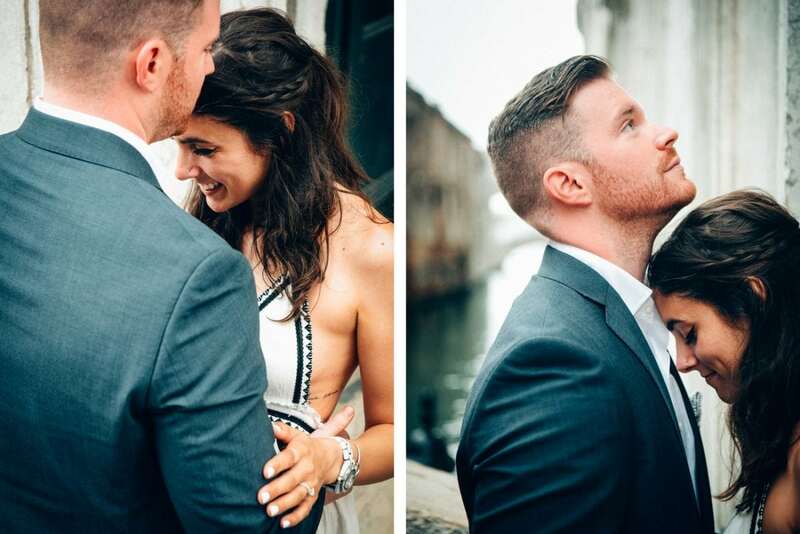 Kasey and Chris are every couple photographer’s dream: beautiful, young and crazy in love! 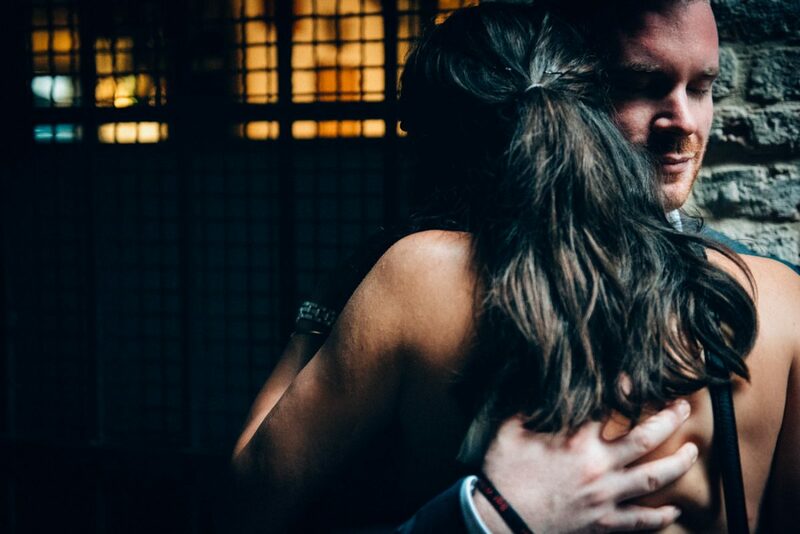 I helped Chris planning his wedding proposal to his lovely Kasey, and everything went perfectly. 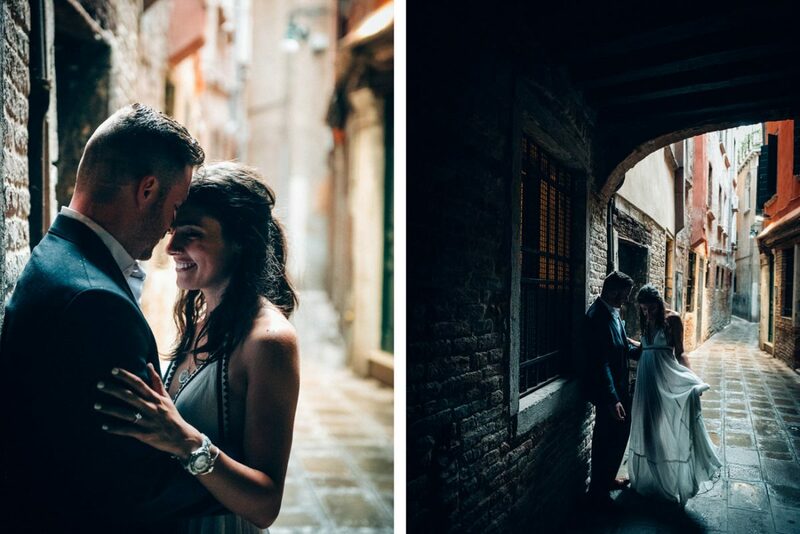 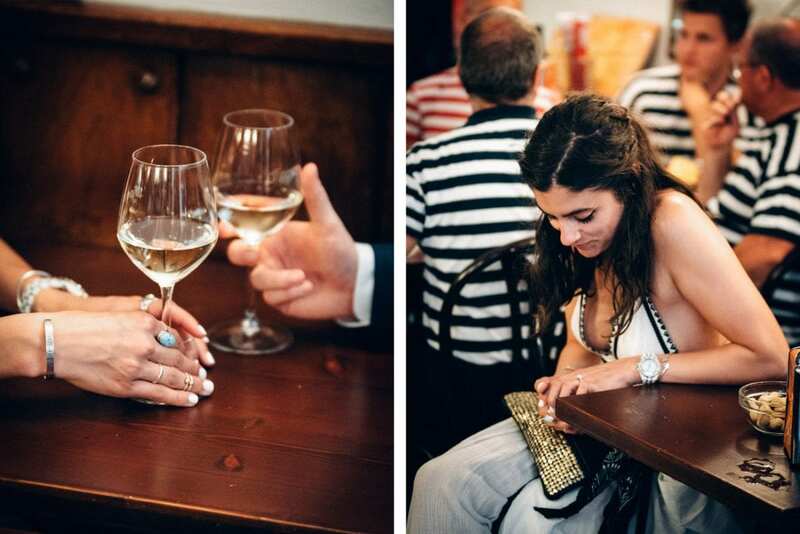 This shooting proves that couple photographs in Venice are always a winning choice, even when the weather is not sunny! 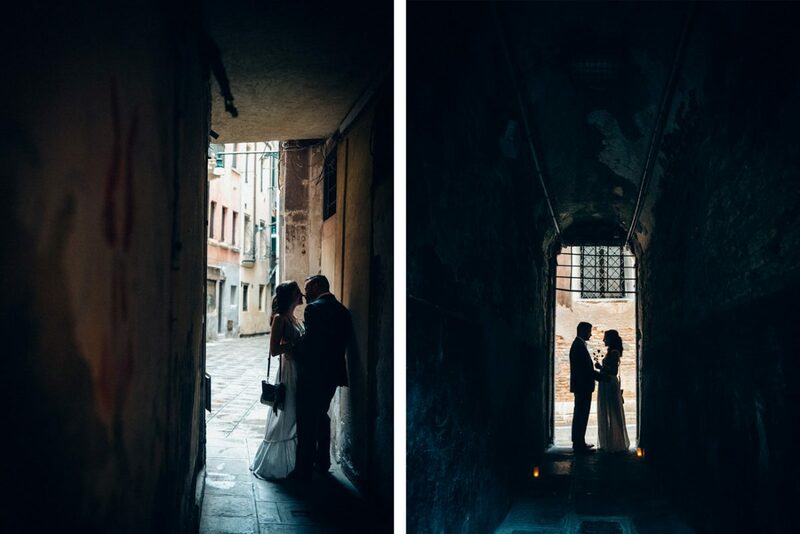 It kept on raining for the whole shooting, but the weather did not ruin it; instead, it made the atmosphere even more beautiful and magic. 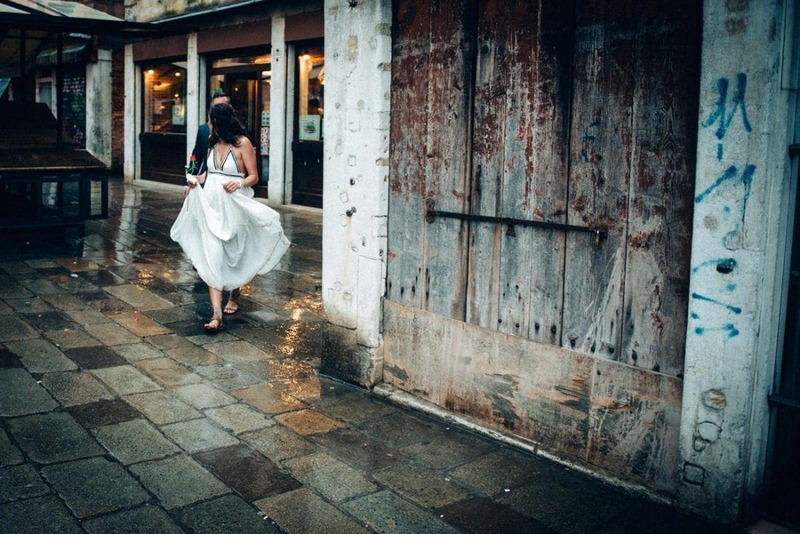 If you’ve never seen a rainy Venice, then you’ve lost something unique – many articles talk about its “acqua alta” beauty – and this shooting proves it, too! 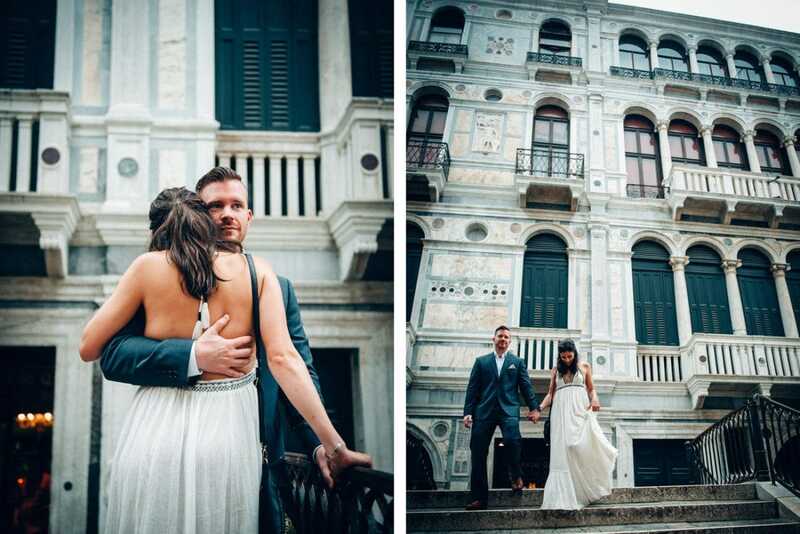 Here are the photos of this lovely shooting… Enjoy! 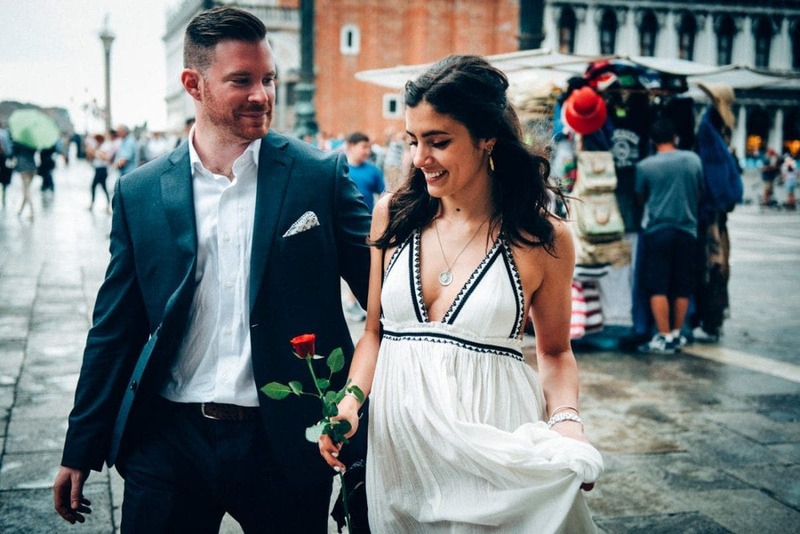 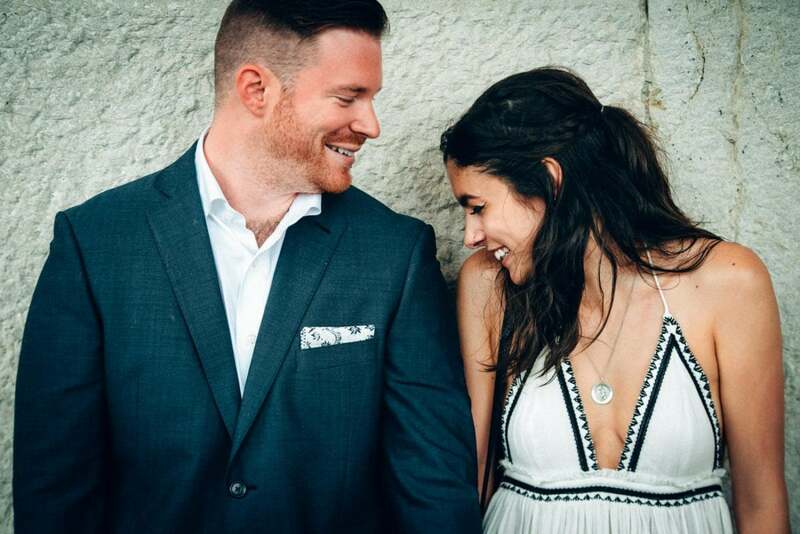 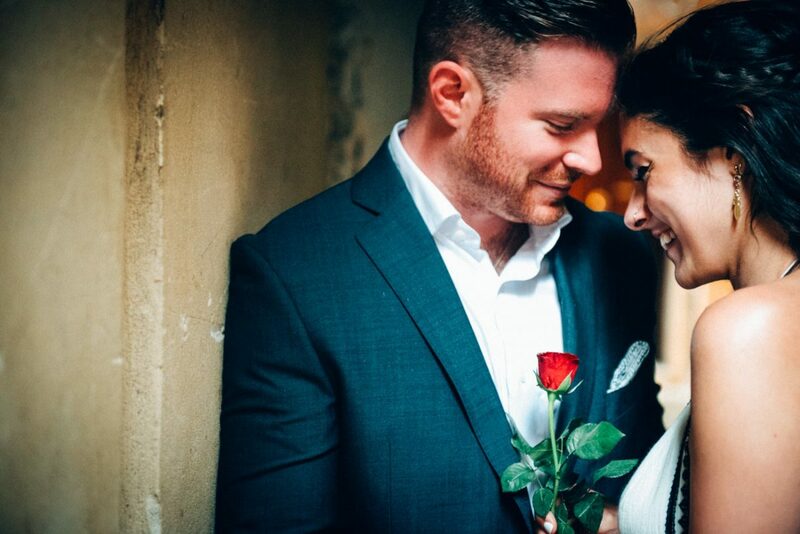 Chris and Kasey are a beautiful couple from Boston who had a vacation in southern Europe to celebrate their anniversary. 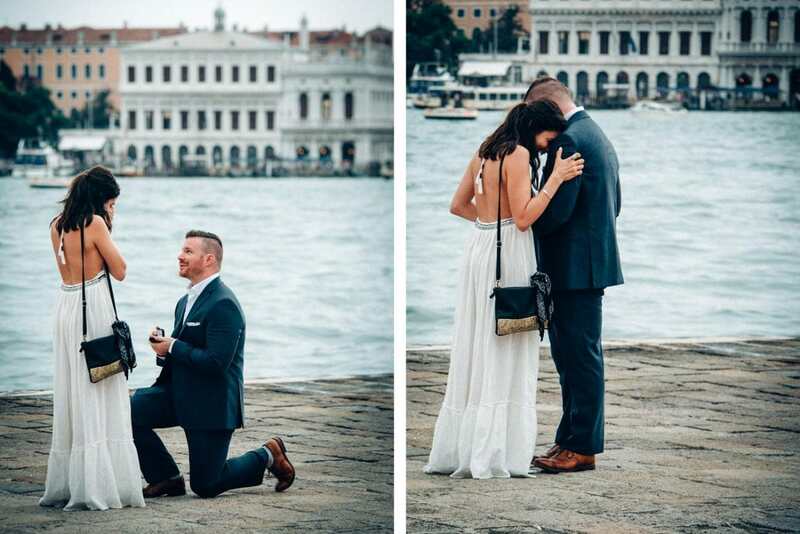 What place could be better than Venice for a super romantic marriage proposal? 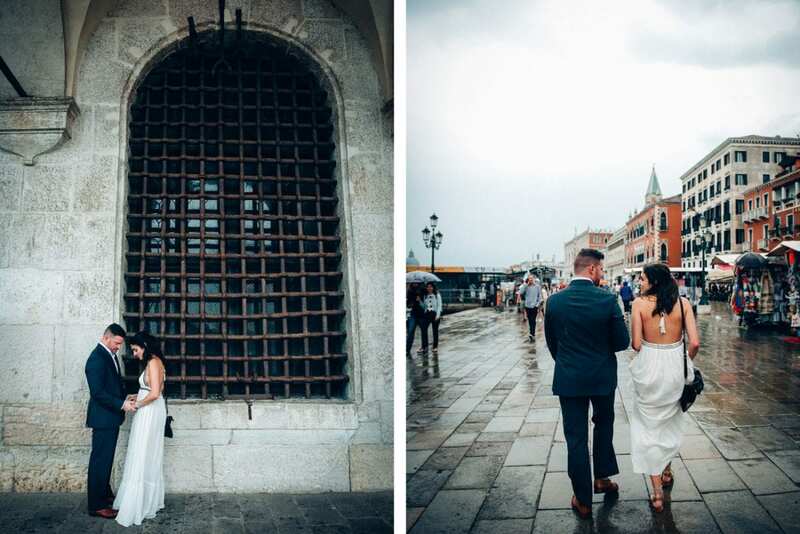 It was raining for the whole photo session, but this weather made it even more magical! 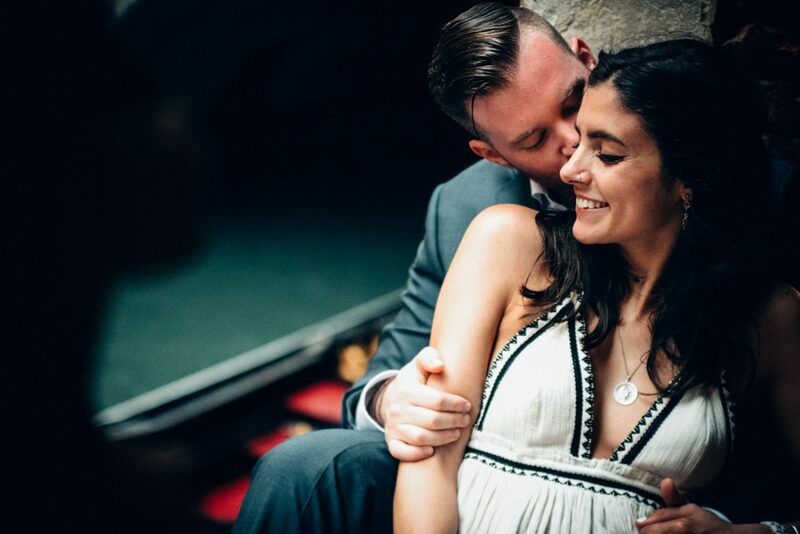 Chris knelt to Kasey in a unique scenario, and the emotion they both were feeling was touchable! 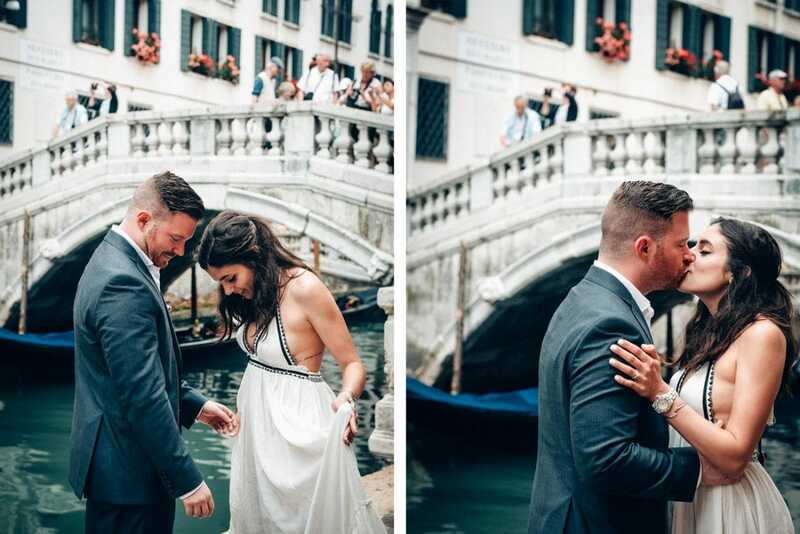 We came back to Venice on a water bus, and we went on with the couple shooting under the colonnade of San Marco Square. 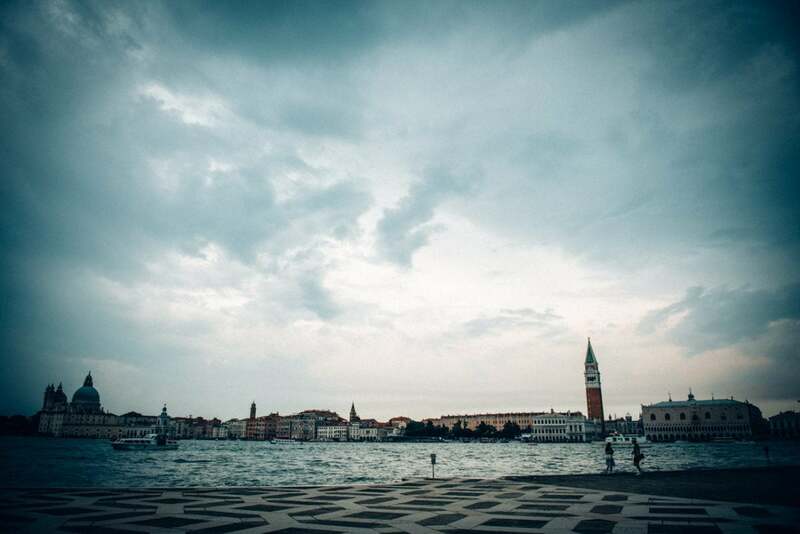 We had a stop in a typical gondolier bar in a small street on the back of the Hotel Danieli. 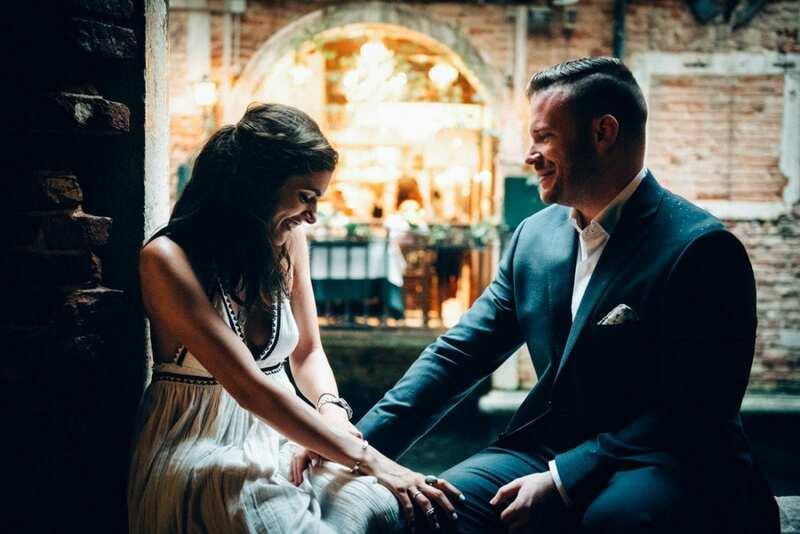 There, Chris and Kasey had some time for themselves after such a great emotion, and had the chance to try some typical Italian wine, too! 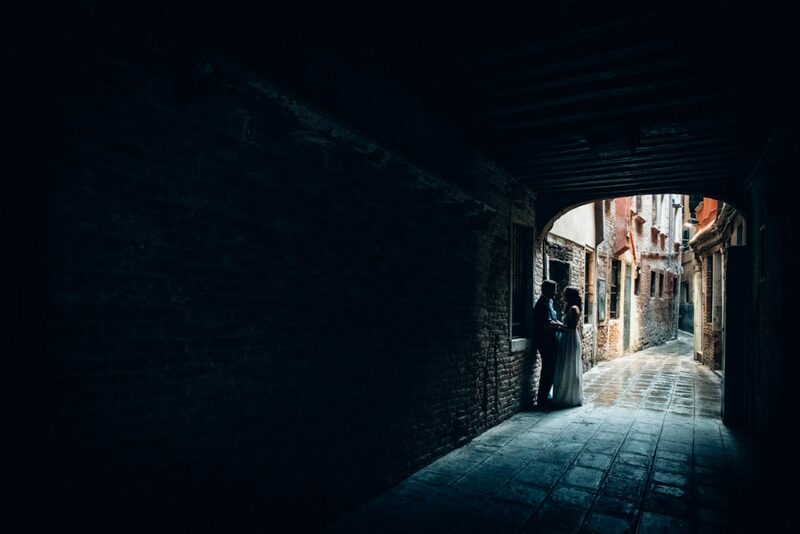 The couple shooting proceeded all around the city, under the infinite colonnade and streets of Venice that make this city absolutely unique.